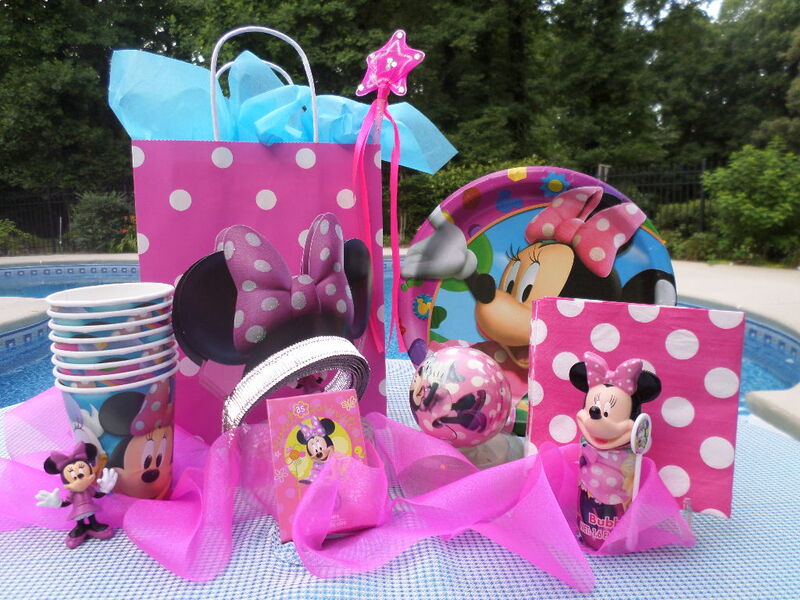 Get your Minnie Mouse party ideas for decorations, party bags, and games right here. I have been collecting stuff for this party for a couple of years and could hardly wait to host it. This year one of our little ones turned 4 and was the perfect age to celebrate with Minnie. 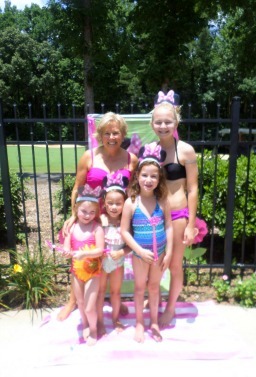 We entertained a group of little girls who were 4 to 6 years old for a fun afternoon of Minnie. Starting at the pool gate. I love this colorful plastic door decoration. 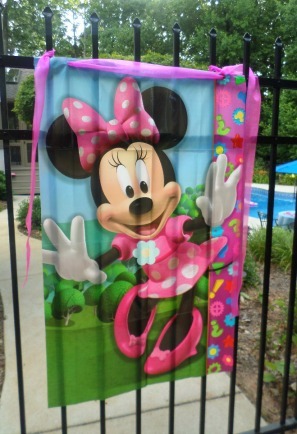 Punch two holes in the top to tie it onto the pool gate with some bright pink ribbon. 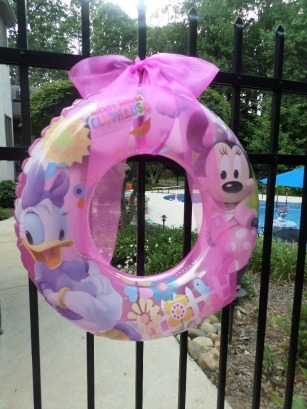 Or hang a Minnie Swim Ring tied with some pink ribbon to the gate or entrance to your pool. 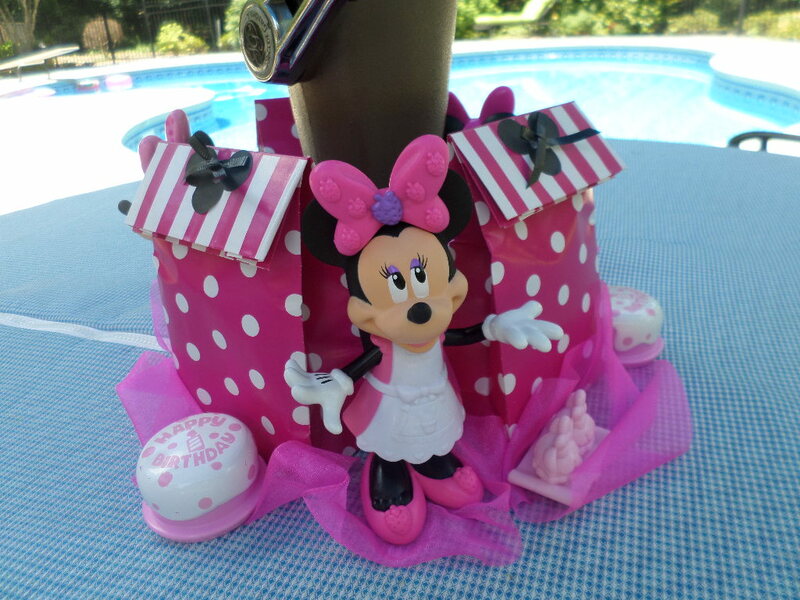 Pink and white polka dot party bags serve as centerpieces with a couple of plastic Minnie Mouse figures set in between them. 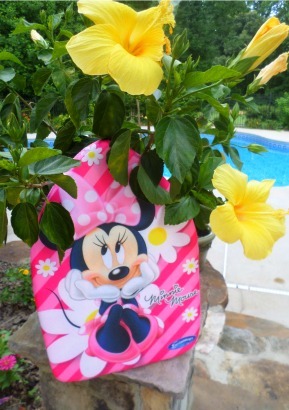 Minnie Mouse kickboards were place by the steps to the pool and then later used for games. Hang these cute paper lanterns with ears from your umbrella ribs. 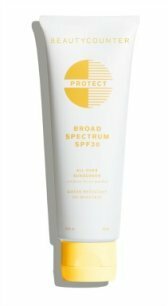 They come as a set of 3 for less than $9 and free shipping if your are prime. Get two sets if you have two tables up. 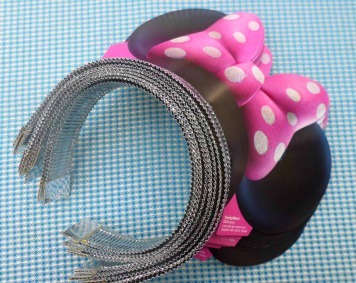 Everyone gets Minnie ears with these headbands. Temporary tattoos are always a big hit. Just need a bowl of water and a washcloth. Extra ones can be used as party favors. 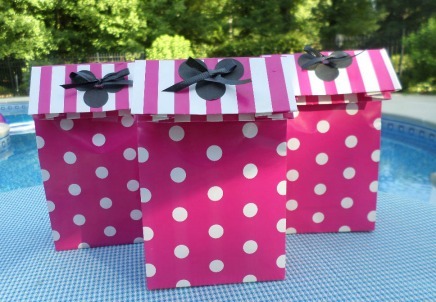 Black dots from an office store with a little bow of black ribbon complete the take home bags. 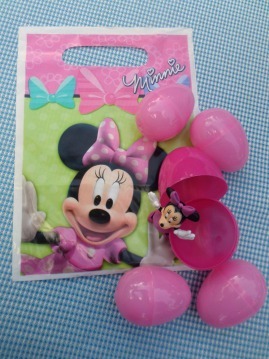 I found Minnie Mouse bubbles and rubber bracelets for party favors. 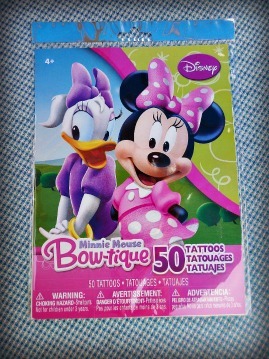 Disney Minnie Mouse Bow-tique Deluxe Party Pack For 8 Guests! Aren't these the cutest bags! 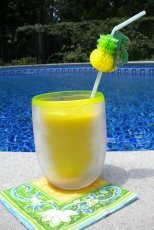 They are small 6" by 6" - made of plastic which is great if you are having an outdoor party. I love the bags with handles. Set them around your table and use them as your centerpieces. Embellish with a little bit of pink ribbon and bright tissue paper. A set of 12 for less than $10. Give each guest a plastic party bag for a scavenger hunt. Assign a color to each guest. For example Ella only picks up the pink eggs and Angie the yellow eggs. Fill them with stickers, money, or plastic figures. 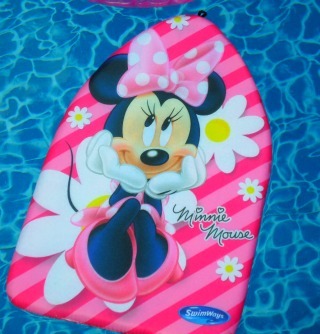 There are lots of Minnie pool toys you can use for games from swim rings, beach balls, kickboards and air mattresses. Isn't she cute? 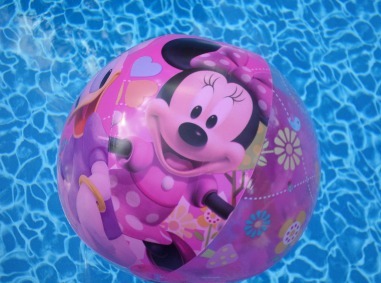 I filled the pool with some Minnie beach balls and some solid pink beach balls that I found at our local dollar store. 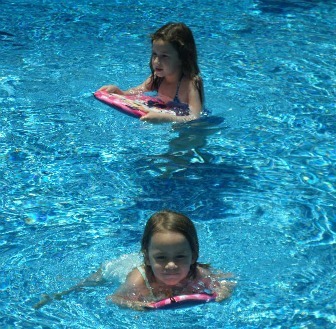 These kickboards can be found at your local stores - At Target they were around $5 and at Leslie's Pool Supply they were double that. I couldn't resist getting this Disney float. I've decided I have never outgrown my love of pink. 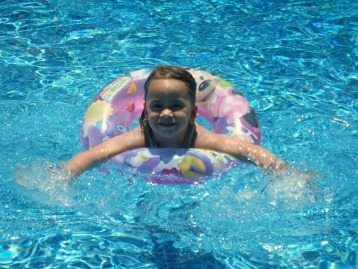 Swim rings are entertaining and become more fun when they fit the occasion and the interests of the children. 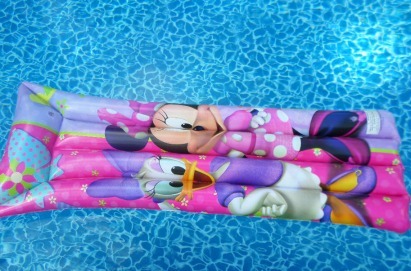 Walgreens carried this Disney swim ring in the beginning of the summer - but when I went back to get another one they were all gone. Amazon is offering the same one for about the same price. 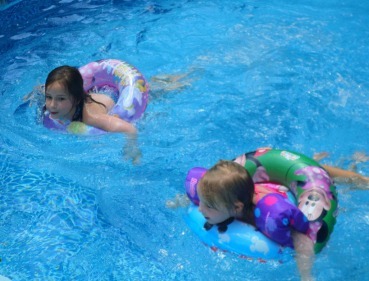 Our grandkids always gravitate to our spring floats and the 4 year old to anything pink or Minnie. She claims this one as her very own so there's no hope of anyone else getting a turn using it. Enjoy having fun with this float all summer long. 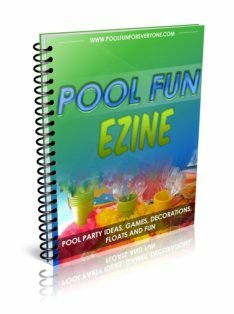 Use the swim rings and kickboards for simple races or for just free time having fun in the pool. It was a day to remember. I am so happy to have children in our lives to help keep me young and to share their joy and excitement over little pink mice.